Exceptional 9 room Colonial, nicely sited in a cul-de-sac neighborhood, boasts a fabulous floor plan with contemporary flair. Many details & features abound throughout with much hardwood, a granite kitchen with center island & breakfast area with sliders to patio & back yard. 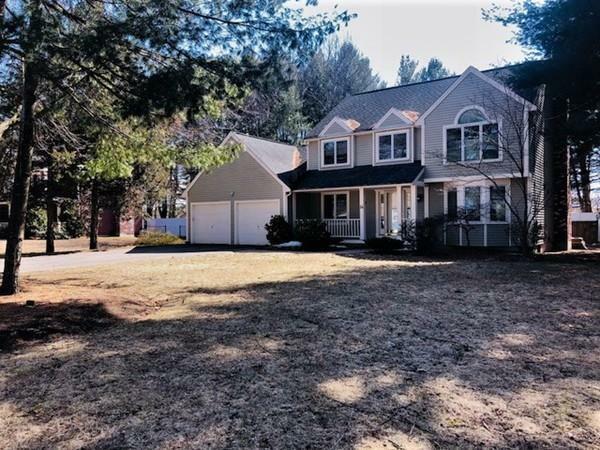 A lovely FP family rm with an open concept into sitting room, a formal dining room, half bath powder rm, & a laundry/mud room w/side entry leads to a 2-car garage. Second floor includes spacious bedrooms, much closet space, double vanity granite family bath, & a cathedral ceiling master suite, with large walk in closet, plus a full bath with 2 separate granite vanities. As a bonus, the nicely finished lower level includes a game & office rooms with large walk-in closet. Flexible floor plan allows much space for entertaining, recreation & family living. A convenient Sudbury side location with commuter routes, local commuter rails, close to school campuses, shopping, & dynamic Maynard Village. A special opportunity!